Monday to Thursday 11:00 a.m. to 10:00 p.m. and Friday to Sunday 10:00 a.m. to 11:00 p.m. If there was an index for pleasantness, Ça Va’s rating would go through the roof. 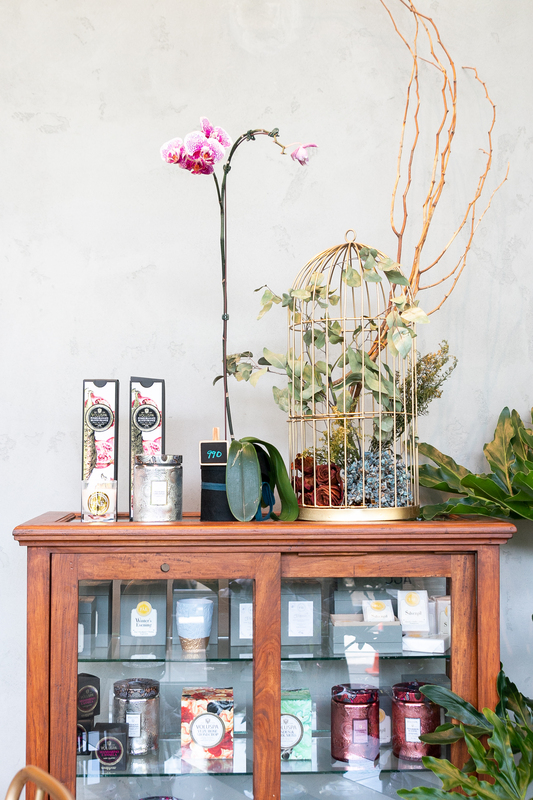 The creperie and floral atelier located right at the Podium’s entrance has a light, airy, and comfy vibe that it instills right down to the decor. It’s “one happy place,” as owner Nicole Ortega dubs it. 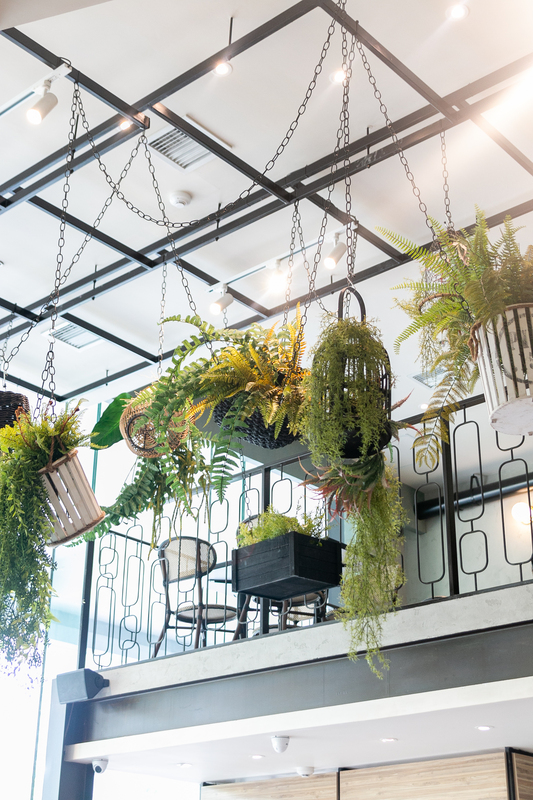 Take the flowers and plants that adorn the restaurant. The creperie doubles as a floral atelier, which itself isn’t something you see here in the Metro, and so the flowers you see are carefully chosen. They aren’t just the run-of-the-mill roses you find at a normal floral shop, and this adds to making the place seem like a secret garden of sorts. “We do our best to curate the flowers,” Nicole Ortega says. 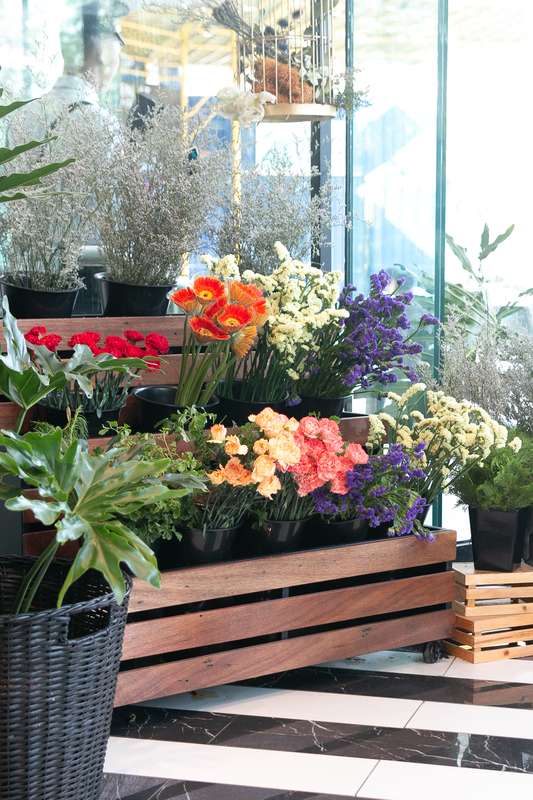 For a small price, you can buy a bouquet, or even a small potted plant. If flowers aren’t so much your thing, you can also buy some of the sweet-smelling candles and soaps that they carry from both local and international brands. “We wanted it to be comforting,” Nicole Ortega says. The name itself is a clever allusion to this. Ça Va, which literally means “it goes,” is a colloquial French greeting. You can say it as a question (Ça va, bienne? – How are you?) or as an answer (Ça va, bien – I’m okay). 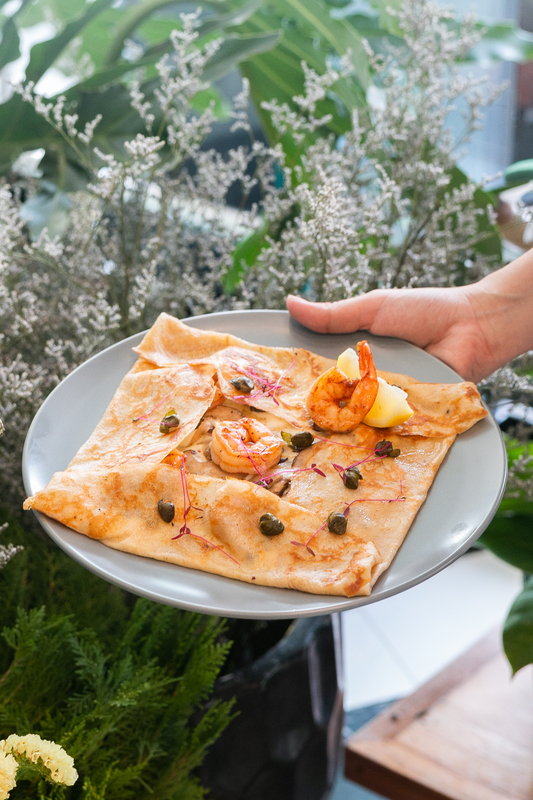 It doesn’t have the formal stuffiness of “Comment allez-vous?”; rather, Ça va has the easy-going lightness of just checking in on a friend, and this is the spirit that the creperie takes after. The easygoingness can definitely be seen in their menu, with it being littered with names like I’m Chori (for their savory chorizo crepe), You Had Me At Chocnut (their crepe with, well, chocnut), and Curry Belles (their parrotfish curry). Their crepes, which are made with buckwheat flour, are divided into two categories: the heavier savory dishes, and the (somewhat) lighter dessert crepes for those with sweet tooths. From the savory crepes, we tried out the Scampi Escamper and the Meet Me at The Forest. The former has shrimp covered with bechamel sauce, mushrooms, and parmesan, while the latter contains forest ham, tomato, and basil. 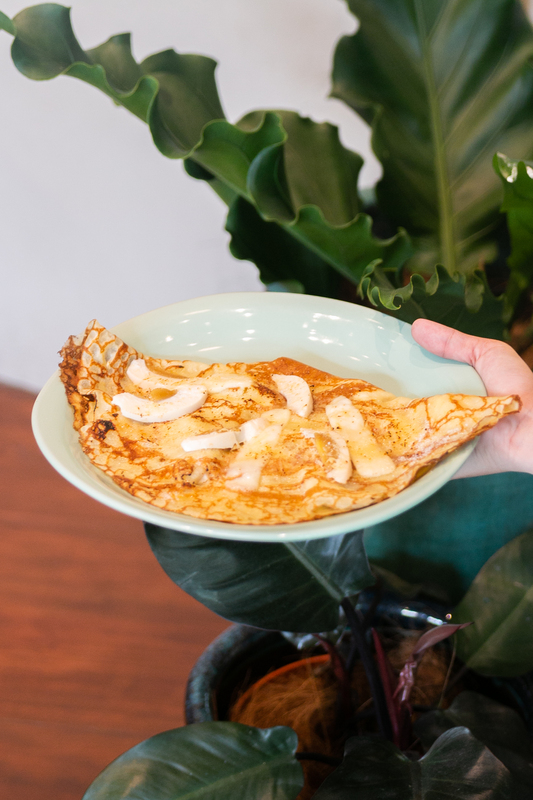 The crepe itself for both dishes was a delight—light and airy, with a little crisp and a hint of butter, though don’t let the pastry’s apparent lightness fool you. 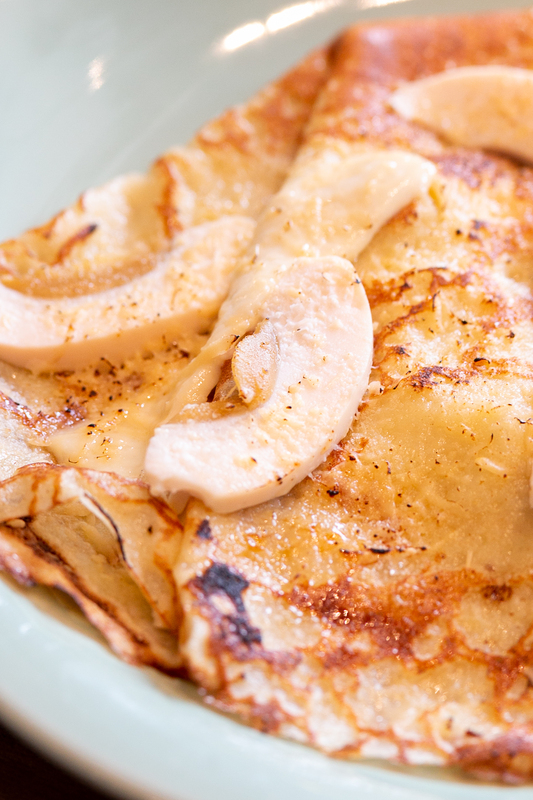 If you thought crepes wouldn’t be filling, the savory crepes are going to prove you wrong. 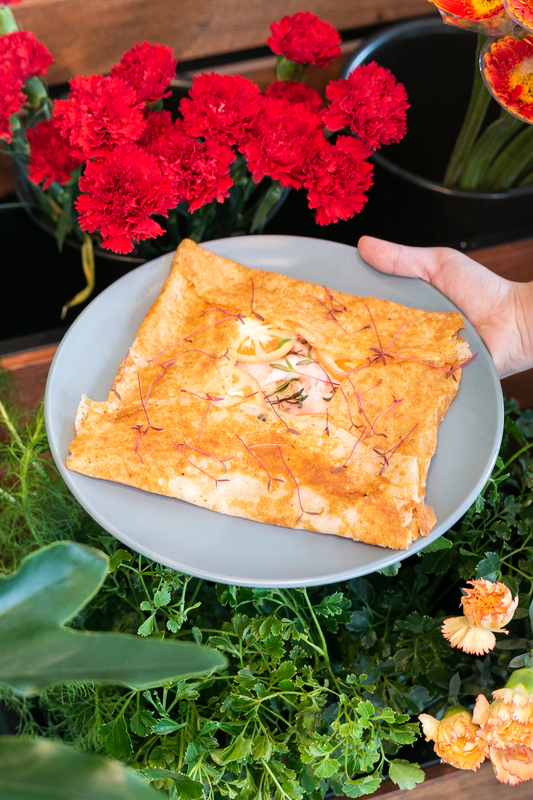 “You must definitely try the Potcha from the dessert crepes,” Nicole told us, and we agree: if you can only get one item on their menu, the Potcha should be it. 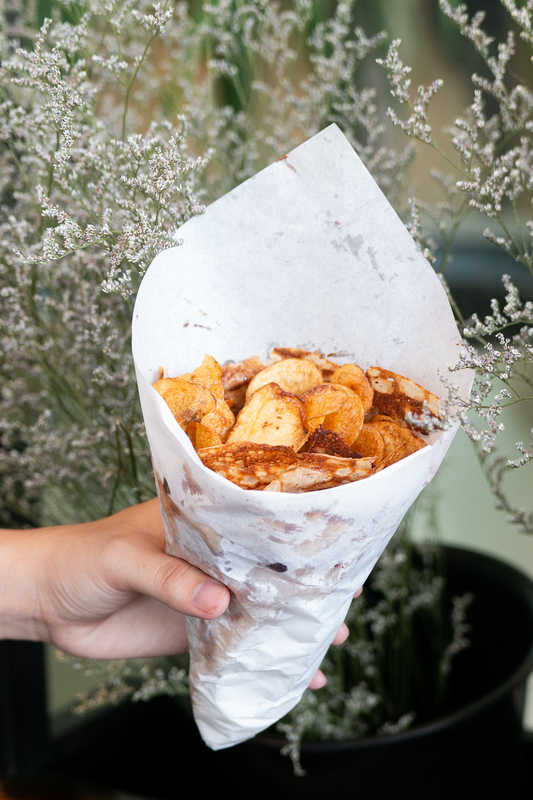 Wrapped almost like a gastronomical bouquet, the Potcha is a crepe filled with chocolate Nutella spread and topped with homemade potato chips. In a word, sinful. In four, the ultimate comfort food. Not to be outdone is their Bibingka crepe, a new addition to their menu. It’s a sound homage to the classic Filipino rice cake, with the salted egg and the lightly poured over sugar coming together beautifully on the thin pastry. Don’t forget to pour the sauce that comes with it—the sauce is made out of creamed milk mixed with salted egg. Aside from crepes, Ça Va also carries rice meals, like their aforementioned Curry Belles. 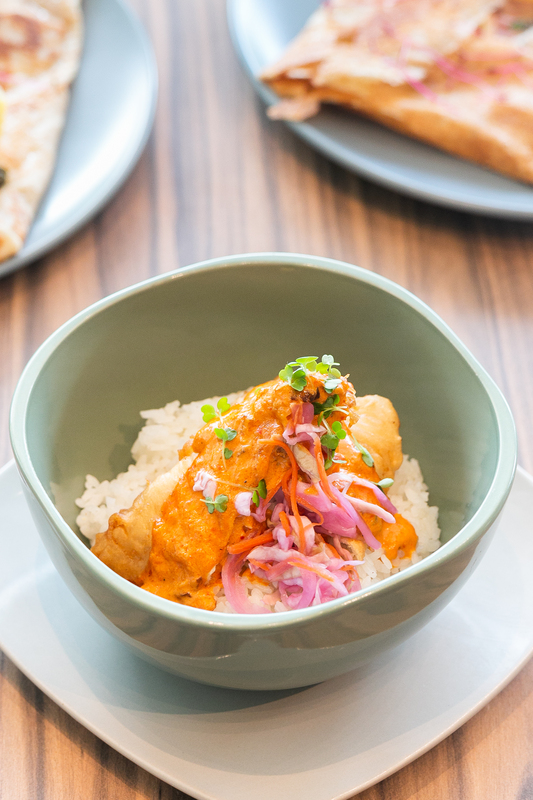 With the parrotfish serving as meat, it’s perfect for people looking for a curry alternative that’s easier on the stomach. 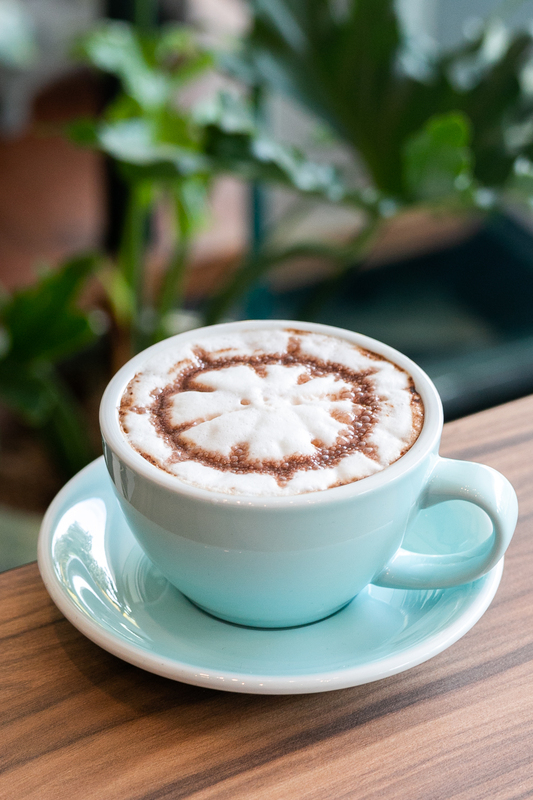 You can top off your meals with a variety of drinks, like their flat white mocha. With a place that aims for comfort as much as Ça Va does, you can expect that there’ll be something for everyone. Even vegetarians can have a spin at their savory crepes, with options such as Mushy Memories (made of creamed spinach, mushrooms, and gruyere). Try this place out if you’re in real need of a pick-me-up. 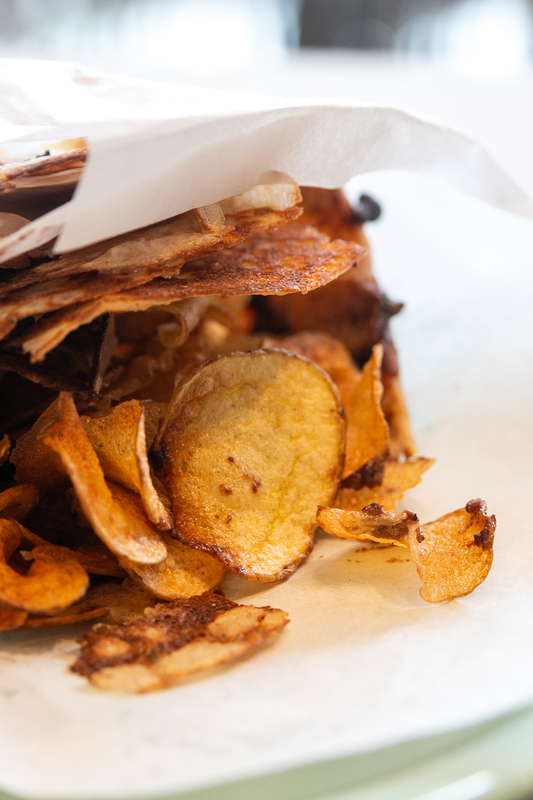 Go for the Potcha, an incredibly sinful dessert crepe that contains both Nutella and homemade potato chips.